In fact, welcome to the last CentreStage of 2013! It’s only fitting, therefore, that it should be a very special edition indeed. One that combines music with winter romance. 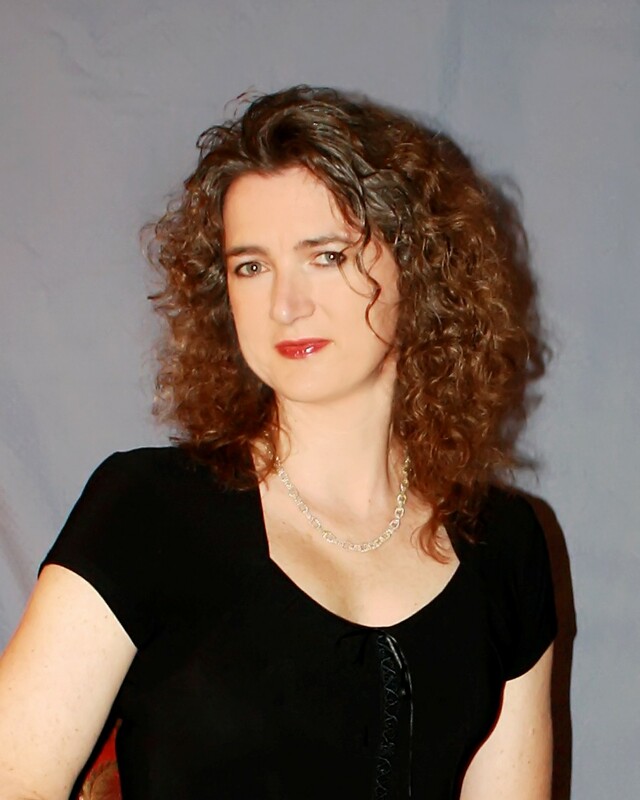 I have the wonderful Jennifer M. Eaton here today to talk about her latest release. Take it away, Jen! Merry Christmas! I love this time of year, don’t you? Except for the snow. I can really do without the white stuff. Unless I can stay home. I just don’t like to drive in it. Did you catch that rambling? That was me beating around the bush because Nicky asked me to come up with a song for my Christmas romance Paper Wishes. Shoot that was hard! I think I found the perfect song though… but then I had to find a video of someone who didn’t butcher the heartfelt lyrics! This is very unlike me, but I’m going for a classic voice to go along with my contemporary novel. In Paper Wishes, we start off with Jack pining for his best friend Jill. But when Jack gets his Christmas wish… a date with the office she-devil, Jill suddenly realizes how alone she would be without him. Take a listen while you enjoy the first chapter of Paper Wishes. Jill has no idea what she wants for Christmas, but when it looks like her best friend Jack is going to get exactly what he asks for, Jill makes a Christmas wish that will change both of their lives forever. I scrolled the words Dear Santa across the page. For crying out loud, how stupid is this? “Just write down what you want.” She bent and tucked the folds together, molding her letter into a perfect origami star. Nicole held up her creation, scratching a freckled cheek. “Everyone wants something.” She fastened a paperclip to her star and hung it on the Christmas tree. The matte paper stood out from the bright glass ornaments. I ran my fingers across my bare neckline. I’d love to have back the ornate silver and gold necklace that Nicole broke a few months ago, but I couldn’t write that. It would hurt her feelings. “I’m too old to be writing to Santa,” I announced. I threw my long, dark ponytail over my shoulder and tapped my pen across the sheet, leaving a wavy line of dots marring the clean, white-lined paper. “Got it.” She tossed the brown bag into her backpack and grabbed her jacket off the back of the chair. “See you later, Mom.” The screen door slammed behind her, rattling the knickknacks on the shelf beside the door. The frigid December air swirled through the kitchen, pushing the paper across the table. I tossed my pen to the side and poured myself another cup of coffee. Liquid heaven rolled down my throat. Well, day-old reheated liquid heaven. I tossed the rest down the sink. Coffee Stop drive-through here I come. I popped the last bit of toast into my mouth and grabbed my car keys. The nearly empty sheet of paper shifted across the tabletop as I passed by. The words Dear God taunted me. Writing the letter didn’t seem like a game anymore. Dear God… it doesn’t get more serious than that. What do I want? I hadn’t thought of it much since Bill took off on us. The pressure of being both Mommy and Daddy left little time for thinking about me. What I wanted was for Nicky to be happy. Nothing else seemed to matter. I eased back down into my chair, picked up the pen, and began tapping it on the paper again. Another line of scrolling black dots appeared across the sheet. What do I want… really? My wrist flicked, and I wrote the word please. I stared at the letters, and before I knew it a sentence had formed. Fifteen little words stared up at me, the blue ink solid and demanding on the white ruled page. It’s not even what I want. I crumpled the letter into a ball and tossed it over the counter. It scooted across the beige surface before slipping off and falling into the trashcan. I’m too old for Christmas wishes anyway. 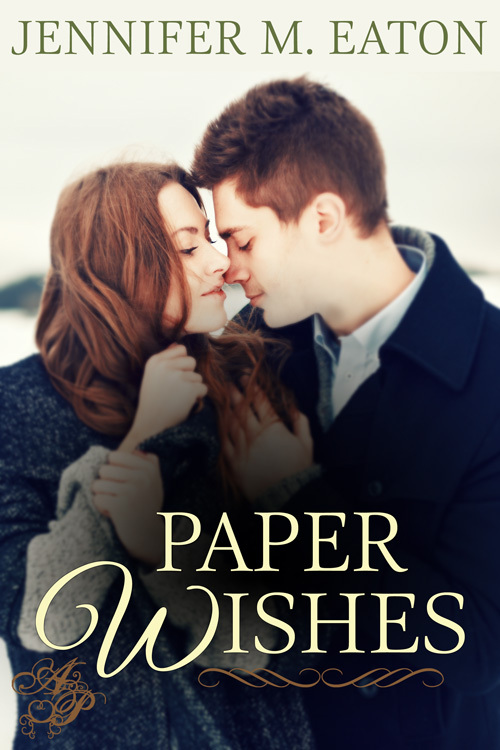 Paper Wishes is on sale now for just $.99! Snuggle up with a great Christmas Romance today! Click here to buy it now! This entry was posted in CentreStage and tagged CentreStage, Jennifer M Eaton, Paper Wishes. Bookmark the permalink. Thanks so much for featuring me! Merry Christmas! Glad to have you follow me after my Centre Stage appearance on November 20, 2013 with your ENCORE Centre Stage appearance today. “Blue Christmas” was originally recorded in 1948, however I love Elvis’s 1957 version the best. Thanks as always for your lovely thought-out comment, Robin. 🙂 Have a great day!